How do central banks keep struggling economies afloat? 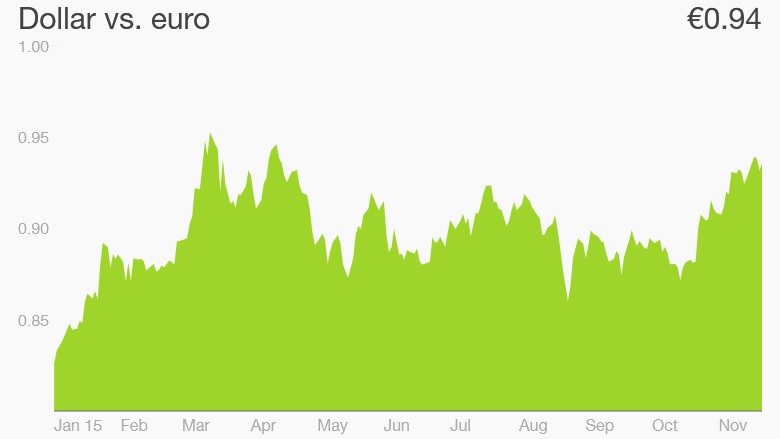 The dollar could soon be worth as much as the euro. The two currencies are heading toward parity after Mario Draghi, the president of the European Central Bank, dropped yet another strong hint that he is about to pour more money into the European economy. Speaking at a banking congress in Frankfurt, Draghi said the ECB is ready to act fast to boost Europe's nonexistent inflation. "If we decide that the current trajectory of our policy is not sufficient to achieve our objective, we will do what we must to raise inflation as quickly as possible," he said. "We will do what we must" is the new "big bazooka." Draghi's dovish remarks sent the euro plunging. It lost 0.5% against the dollar, trading at around $1.07. Draghi has two options now. He can cut the already negative interest rates even deeper, or extend the bank's money-printing program. The ECB is currently buying 60 billion euros worth of bonds a month. At the same time, the Federal Reserve is expected to start raising interest rates in the U.S. The first hike in nine years could come as soon as in December. That means Europe and the Fed will be pulling in opposite directions. The ECB's move, likely to happen on December 3, is likely to weaken the euro and strengthen the dollar, while the Fed could give the dollar even bigger boost on December 16. The last time the dollar matched the euro in value was 13 years ago. At its peak in July 2008, the euro was worth $1.60. Goldman Sachs analysts say the parity could happen before the end of the year. Others see it coming early next year. Paul Mortimer-Lee, chief economist at BNP Paribas, said that while the two currencies will head toward parity in December, the euro might get a boost once the ECB and Fed actions take effect. "So the magic number will have to wait until next year. But we will get there," he added. 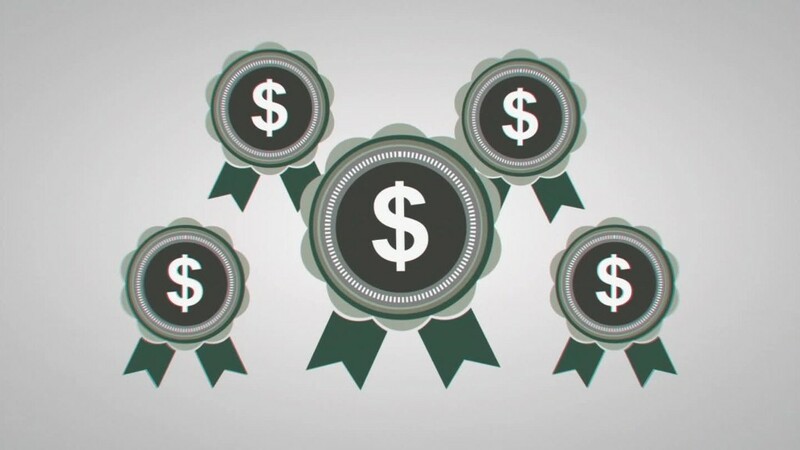 The strong dollar makes the price of imported goods cheaper in the United States. It also is advantageous to any Americans traveling abroad. But it could also hit American multinational companies that have overseas operations.